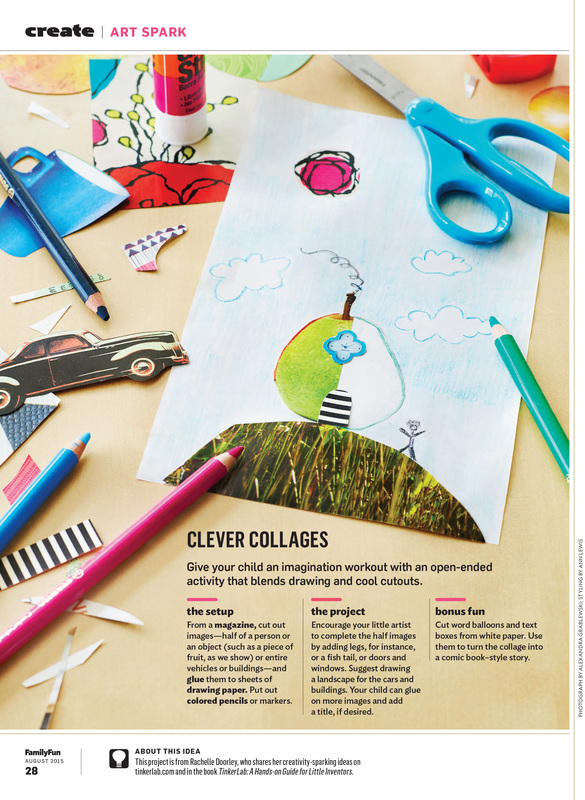 In the August issue, FamilyFun unveiled its redesign. 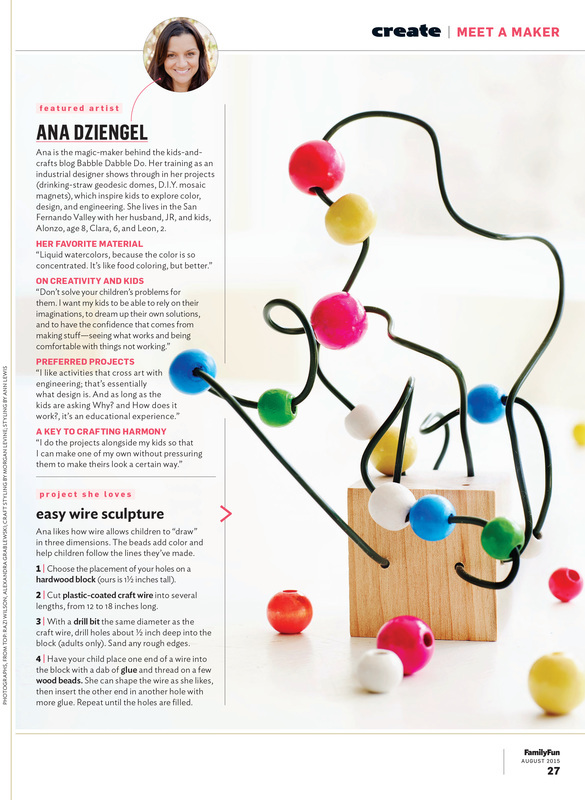 For the Create section, I developed new columns that reinforce the magazine's position as the top experts on children and creativity. One Material, Five Projects enables more craft ideas to fit into our limited page count. 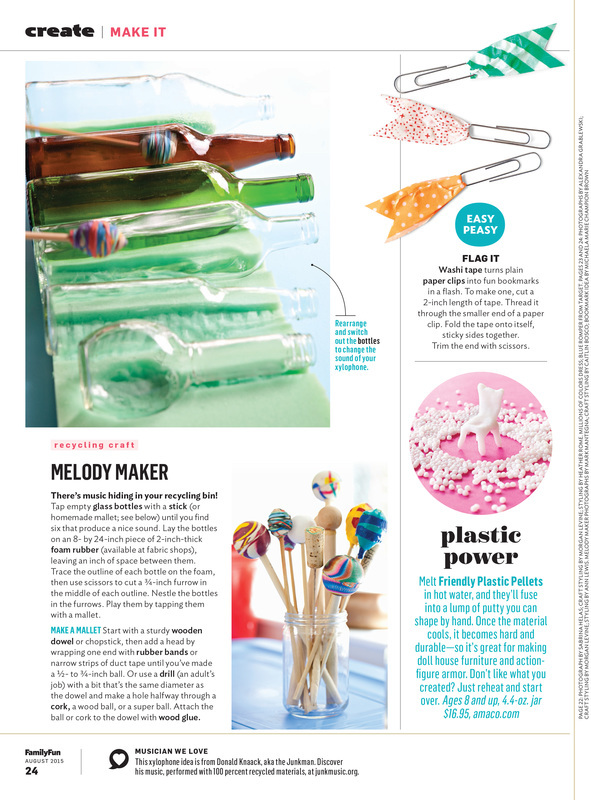 The third page of Make It is a newsy jumble of product reviews, seasonal or holiday craft ideas, and crafters' tips. In Meet a Maker, a short, inspiring interview with an artist, crafter, writer, or musician leads into a project that the reader and her family can create. Art Spark sets up an open-ended, process-oriented project that allows imaginations to soar.